Mlawan is a campaign that encourages caregivers and children to lead a healthy lifestyle. 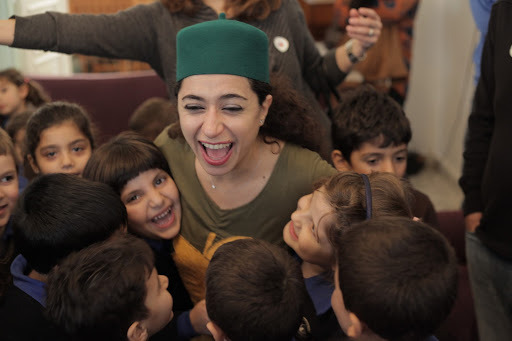 “Flower’s Garden”: a storytelling performance where kids are introduced to three stories about the beauty of nature, the strength of children, the importance of a healthy community life. 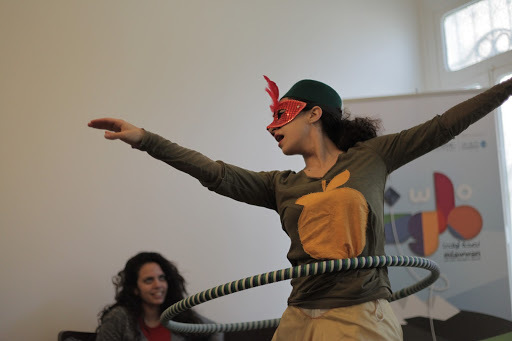 The performance is presented in an adventure like style where mime, clowning, circus techniques, hula hooping, role playing and physical theater merge in an interactive form. 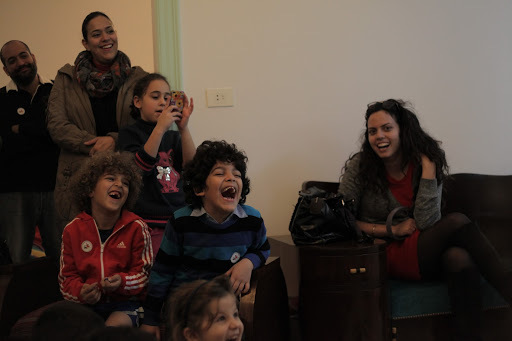 We toured more than 30 schools and centers in Lebanon, performed for more than 4000 kids. Although the performance was very well received by kids who interacted with “flower” all the time I found it disgraceful to see teachers and school directors not knowing how to behave in a theatre. Are they only used to pre recorded theatre productions? The campaign is going to be launched again next month and flower’s garden will be touring again. I certainly will have a new rule!